From £3,350, excl VAT, self-catering. Head to the Avochie estate for a top-drawer family holiday. The House sleeps 12 and there are three smaller bedrooms for six children. 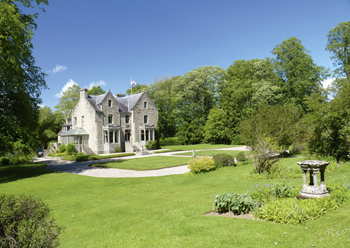 The estate sits in the middle section of the Deveron, Scotland’s fifth biggest salmon river by catch, but also well-known for sea trout and brown trout, and is only 45 minutes from Aberdeen airport. Roe stalking, rough shooting and flighting and clay pigeon shooting on the 1000 acre estate are offered by arrangement, with walked-up and driven grouse shooting on a leased estate on upper Donside. The elegant accommodation includes a library and billiard room, but most importantly there is a proper kennel for dogs and three rowing boats for the river. Close to a host of distilleries.